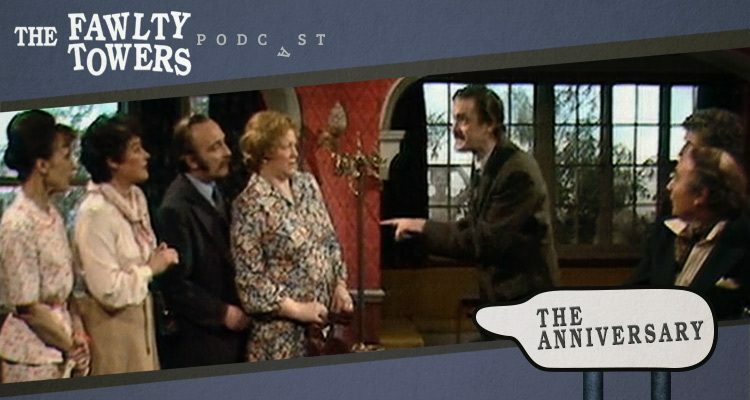 The Fawlty Towers Podcast - An affectionate retrospective podcast about the classic BBC sitcom. 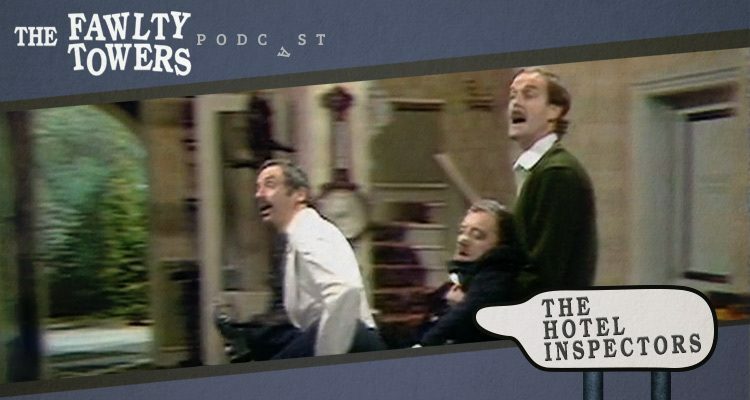 Welcome to the Fawlty Towers Podcast, hosted by Gerry and Iain. This show is an informal and affectionate retrospective of the classic BBC sitcom Fawlty Towers by John Cleese and Connie Booth. Scroll down for the latest episode! It’s been quick, painless and a lot of fun but after just twelve episodes we’ve reached the end. In this podcast Gerry and Iain look at some of the best moments from the series, along with a look at how well the show stands up in 2018. Basil the Rat was the final episode of Fawlty Towers‘ second season and featured an extended escapade as Manuel’s pet rat roams the hotel in the middle of a hygiene inspection. In this podcast Gerry and Iain leave the studio door open so they can get some exercise. 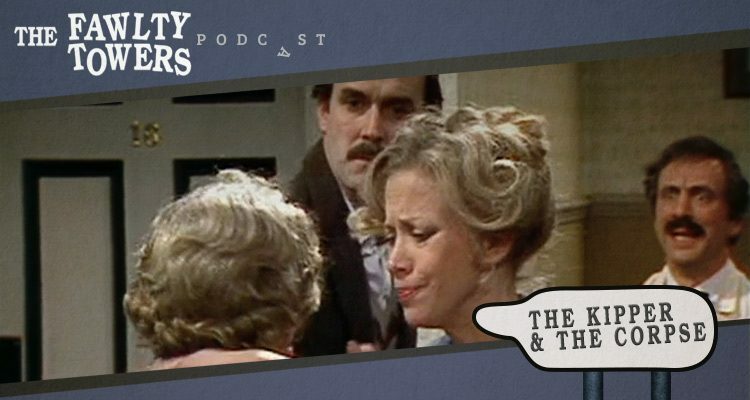 The Anniversary was the penultimate episode of Fawlty Towers‘ second season and featured Polly dressed as Sybil trying to persuade Sybil’s friends that Sybil wasn’t out. In this podcast Gerry and Iain share a choc ice. 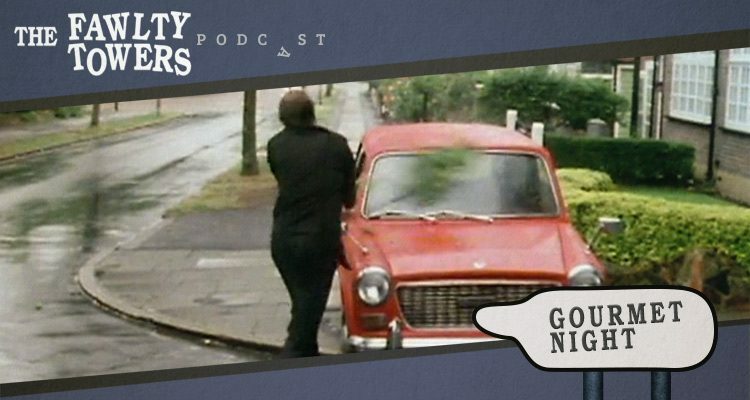 The Kipper and the Corpse was the fourth episode of Fawlty Towers‘ second season and the show that finally pushed Manuel to breaking point. In this podcast Gerry and Iain check the use-by dates on various breakfast foods. 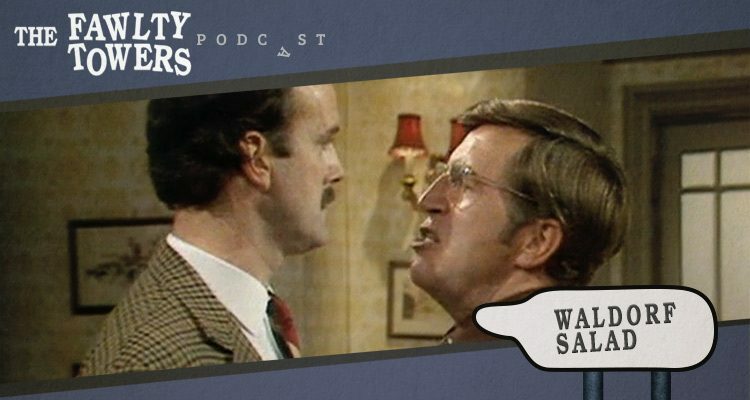 Waldorf Salad was the third episode of Fawlty Towers‘ second season and highlights Basil’s dedicated efforts to improve transatlantic relations. In this show Gerry and Iain take £20 to keep the podcast running for an extra hour. 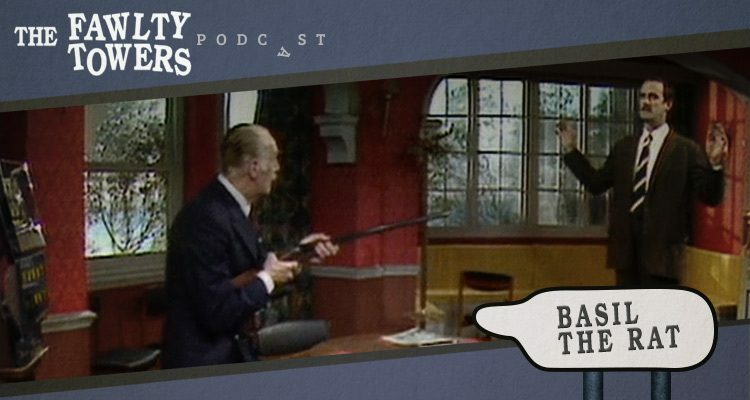 The Psychiatrist was the second episode of Fawlty Towers‘ second season and features a desperate attempt by Basil to expose shenanigans in the hotel without raising Sybil’s ire. In this podcast Gerry and Iain are very careful about where they put their hands. 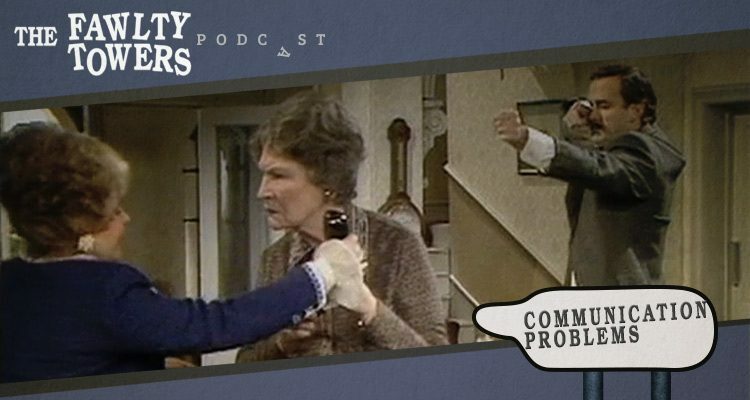 Communication Problems was the first episode of Fawlty Towers‘ long-awaited second season and sees Basil struggle to cope with a very particular visitor. In this podcast Gerry and Iain blame each other for a big win at the bookies. 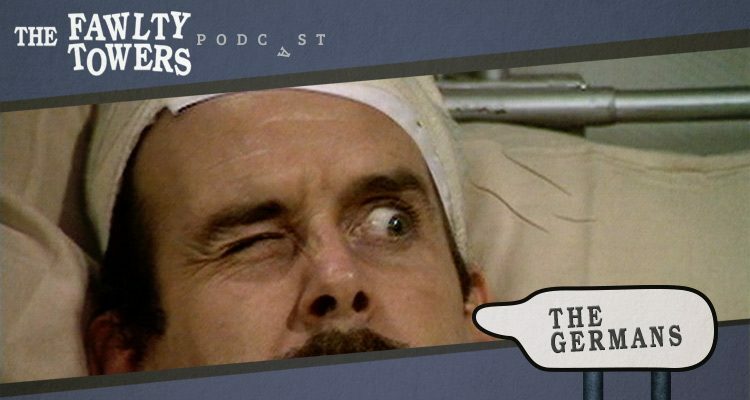 The Germans was the final episode of Fawlty Towers‘ first season and sees both Basil and Sybil hospitalised before a group of European visitors arrive at the hotel. In this podcast Gerry and Iain exchange pleasantries with various taxidermied animals. Gourmet Night was the fifth episode of Fawlty Towers and tests Basil and Sybil’s capacity for improvisation as their new chef struggles to handle Manuel’s rejection. In this podcast Gerry and Iain beat their microphones with branches. The Hotel Inspectors was the fourth episode of Fawlty Towers and sees Basil pushed to the limit by a demanding guest who just might be here to assess the premises. In this podcast Gerry and Iain suspect one another of not being the spoons salesmen they claim to be.